Thank you to all that attended and sponosored this event! 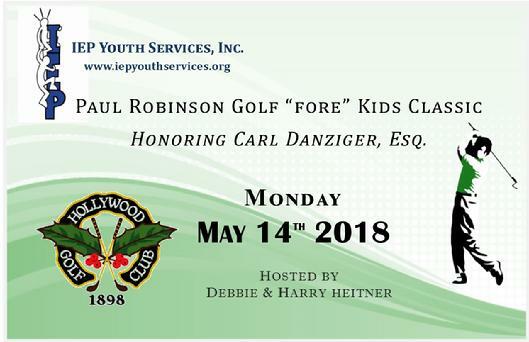 IEP Youth Services is planning our Paul Robinson Golf “fore” Kids Classic to be held at Hollywood Golf Club, Deal, NJ on Monday, May 15, 2017. We are pleased to honor Kevin Cummings, President & CEO of Investors Bank at this year’s event. Kevin has been a strong advocate for a wide variety of community programs and along with the staff of Investors Bank, has made many contributions to our programs. IEP Youth Services advocates for youth by providing resources which include a safe environment, nurturing support and professional counseling for self-improvement. Through these resources, IEP inspires young people by empowering them to overcome crisis and reach their goals. For over 30 years, IEP has served more than 3,000 youth and young adults within our residential and clinical programs. We help change young lives for the better! Please show your support by coming out to play, purchasing an ad in our journal, becoming a sponsor (e.g. Tee, Refreshment, Golf Carts, etc.) and coming to the dinner. The ad journal form and golf brochure with sponsorship information accompany this letter for your convenience. You can also download additional forms on our website at www.iepyouthservices.org on the “Golf fore Kids Classic” tab. 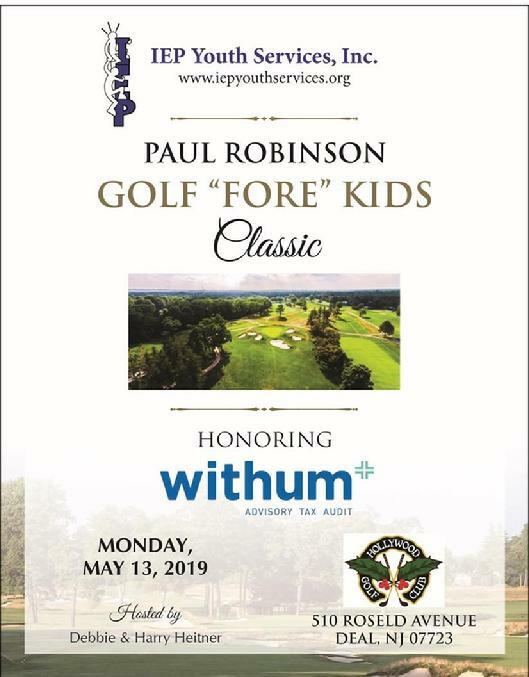 Even if you are not a golfer please join us at the cocktail reception and dinner honoring Kevin Cummings. This is the 22nd year that Debbie and Harry Heitner have hosted this outing to benefit IEP’s programs and services. Our staff, Board and clients are very thankful for their dedicated service. On behalf of the Board of Trustees, staff and clients, thank you for your generosity and support!